Two of our dedicated veg pack volunteers made a beautiful little film about Organiclea life, and our mission to build a Woodland Classroom. We were proud to be part of the Co-operatives UK film to celebrate co-ops, made by Blake House Filmmakers Cooperative. And Lush commissioned a film for the Soapbox channel shoing a typical kind of day at Hawkwood or at our market stalls, because they like what we do – together. In 2009 Organiclea took on Hawkwood Nursery, glasshouses set in a 12 acre site on the edge of Epping Forest. Since then our grower Ru Litherland has recorded our experiences in a ‘grower’s blog’ which reflects on the seasons’ turning and the joys and challenges of growing. 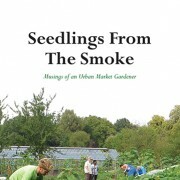 Five years on we have now published Seedlings From The Smoke – collecting together these ‘musings of an urban market gardener’ as a book with photographs and hand-painted illustrations by Marlene Barrett. Buy online from the Big Green Bookshop. Details of where else to purchase or how to stock the book here. Organiclea has been glad to contribute to an exciting new toolkit developed by City & Guilds Centre for Skills Development. The toolkit Roots to Success is a practical guide to support volunteer-training in food growing groups. It focuses on the vocational outcomes of volunteering and how they can best be supported. 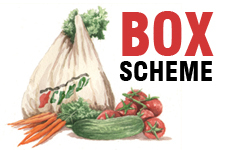 It has been designed for those involved in the recruitment, management, training and progression of volunteers in food growing projects. It also offers an outline of good practice in this context, which should be of interest to trainers in other fields who manage volunteers and/or vocational learning. Download the full toolkit and find out more about the Centre for Skills Development’s work on employability in community food-growing on their website. 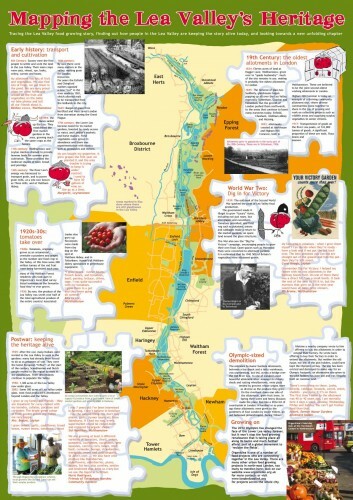 A pamphlet mapping the Lea Valley’s food growing heritage. Pieces of the past, present and future. Summary of the permaculture design process developed for Hawkwood plant nursery, with words, pictures, maps, tables, photographs, challenges and inspirations. October 2009. Contact us to order a printed copy. 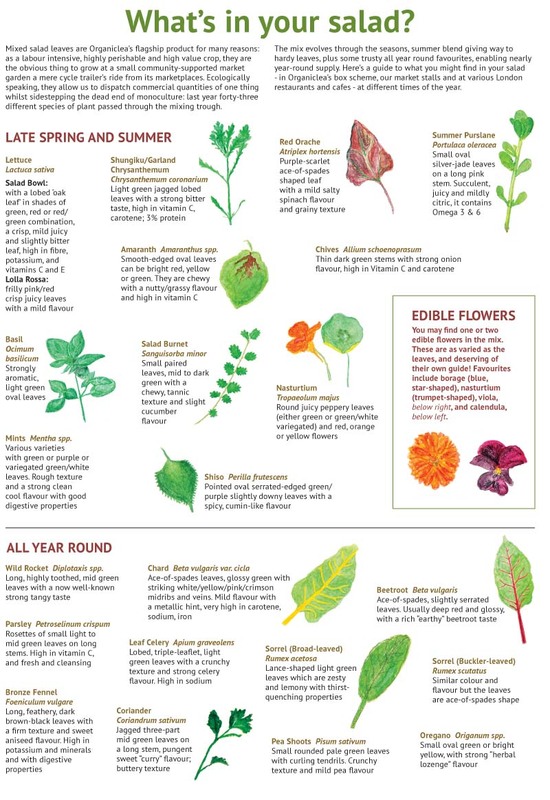 Where Next for the Community Food Movement? 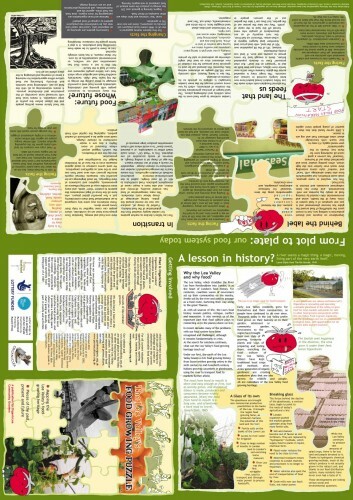 In this article aimed at those active or interested in “community food projects”, OrganicLea member Ru Litherland attempts to “reflect, analyse, even discuss, where we are, where we want to get to, how we might set off to get there, and who’s bringing the sandwiches.” The views expressed are those of the author and do not necessarily represent the aims and objectives of OrganicLea. Selling Allotment Surplus: Is it legal? Is it right? Steve Tippell, a local Walthamstow film maker, has released his mini-documentary about Organiclea’s community wine making scheme. Organiclea (Growing Localities, City Bridge Trust) from Media Trust on Vimeo. Organiclea featured in a film made by Local Food as part of research to show how Local Food projects are building community capacity. Making Local Food Work: East London from Mat McD on Vimeo. To mark National Allotments Week 2015 London Borough of Waltham Forest organised a workshop on building raised beds, which was filmed by London Live. Watch Darren and Michael from Organiclea showing how easily it can be done here! Sustain’s video about Organiclea’s work in growing and distributing food and encouraging others to do the same.